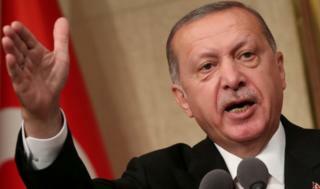 Mr Erdogan has accused the US of trying to “bring Turkey to its knees through threats over a pastor”. On Wednesday a Turkish court rejected his latest appeal to be released from house arrest. A higher court is still to rule, his lawyer told Reuters.